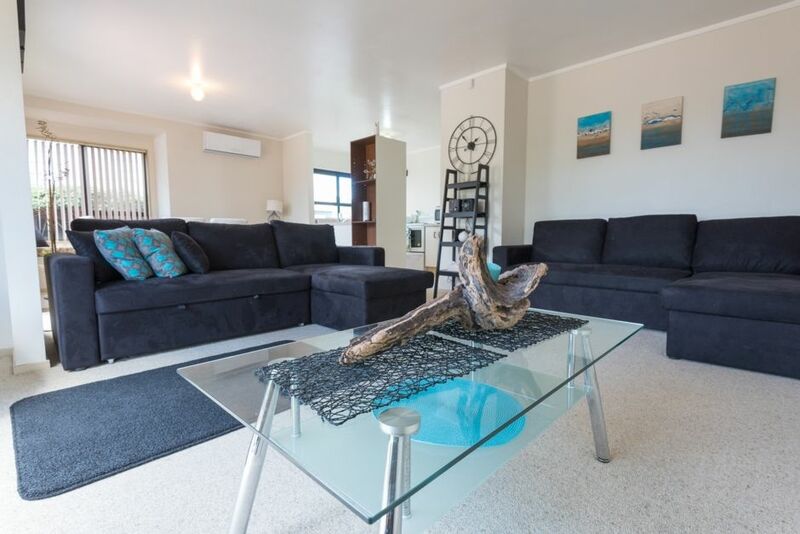 Perfect for couples, family's or groups, Number 9 offers you a quiet home away from home. The location can't be beaten, with all the attractions and best eating places close by. Only 1km away from the famous Whakawerawera redwoods, for mountain biking or a leisurely stroll. Extra TV in master bedroom, a lock up garage, a deck overlooking the park - Everything you require for a relaxing getaway. Professionally laundered hotel quality linen and towels provided. House was ok, would be extremely tight to live in if there were 6 people staying like advertised. Only two bedrooms with one double bed. Apartments next door were loud. Lovely stay and appreciated having air-con in the house on the warm night. Close to mountain biking trails. A small home but had everything we needed. Property managers were great to deal with. Lovely tidy home to stay in while we were away. Had everything we needed. The location was very quiet (even on New Years eve). Our younger children loved the park across the road. Location is brilliant, close to town and attractions. Place was clean and tidy, had heat pump, also had extra blankets. Our family of 7, enjoyed staying here.